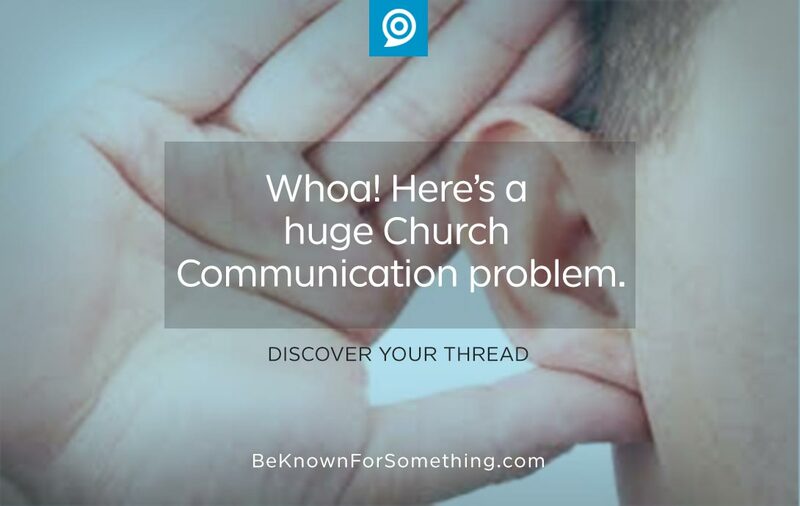 Be Known for Something : Discover Your Church Communication Thread / Announcements / Whoa! 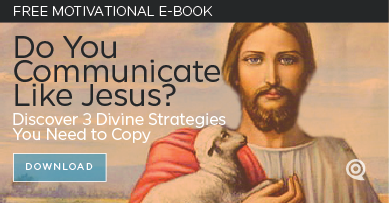 Here’s a huge Church Communication problem. Do you ever catch yourself talking to your child, spouse, or friend trying to get them to understand your perspective? The more you talk, the more they seem to disengage. So when you feel they’re not listening, you talk more. And it becomes self defeating. But we’ve all been in the opposite seat! Your church is probably the same. You announce things from the stage, you put things in the bulletin, you pin posters to a bulletin board, and you post on your website and social media. And you STILL have the congregation calling the church office wondering about the information. It’s so frustrating! So you say or type more. Stop talking before they stop listening. We know attention spans are reduced. Be aware that most stop listening a lot sooner than we want to admit. Stories and testimonials will get people to listen longer. So… tell stories and testimonials. But don’t abuse them. Keep them short too. Stop writing in methods that few will read. Unless someone is reading a story or testimonial, people don’t prefer to read paragraphs much. That’s why most of my articles are bullet points, short paragraphs, or eye-interruptors, in order to get people to scan and “catch” the information. Learn how to give just the benefits. When giving an announcement or message, consider what the big take away will be. If some said, “I’m sorry I didn’t catch that, what did they say?” think about what your brief answer would be. Eliminate most everything else. Most don’t want to be told the details (they’ll forget them); instead people want to know a reliable place to retrieve the information when they want it. That’s your website. I hope. Tier your communications. Don’t waste everyone’s time with the information of some. Stop announcing event details to the congregation (bulletin or stage) when fewer than 80% that are listening would be interested. When the crowd stops listening, it’s near impossible to get them to start again. Every ministry and event should know when and where their information can/will be posted based on their ministry tier. This ultimately allows you to say less to a group who’ll listen more — because the information is geared to them! Repeat after me. Say less; they’ll listen more.